The road to sample the state of Nottingham’s curries is long, long and rather delicious. There are many excellent examples, my other visits I’ve included below. There are a couple of Desi’s in Nottingham, one in Hyson Green (Express) and the city centre one (Downtown) which I visited on this occasion. This isn’t luxury Indian dining, you probably get that impression when you’re greeted an old paper sign on the door that lets you know you can’t pay on card. You may also be subject to a dry cleaning bill; a constant, fragrant mist emanates from the open kitchen’s grill. We must have been drawn in by that sizzling vapour, as we started with a mixed grill. For £9.95 I was pretty pleased with the size of it as a sharing starter or a substantial main course. The seekh kebabs, so often the filler in these dishes, were good in themselves with punchy spicing and a discernible heat. Various chicken items were pretty solid, though could have done with being a bit more moist. Lamb chops here are a little stingy on the meat, but the rub results in a fell flavoured char that I found myself licking off the bones. Not too long ago I extolled the virtues of Cumin’s mixed grill, so how do they compare? Well I still rate Cumin’s as #1, their prawns making the difference. Best value? You could make a strong argument for Desi. The starter was a tough act to follow and it didn’t quite meet the high standards set earlier. 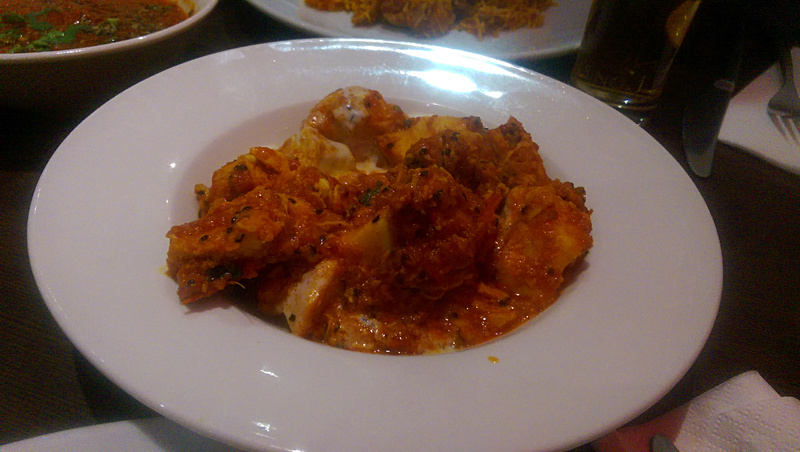 Achari Murgh (£5.95) was aromatic rather than deep and fiery. The meat itself again could have been better, a touch overcooked. Rice and naans were also functional, nothing to complain about, but nothing to write home about either. For a real bargain a favourite dish of mine is their chicken biryani at £6.95 for a portion I don’t think I’ve ever been able to finish. Where most other Indian restaurants in the Nottingham charge £10+ for a main course Desi delivers good food at pretty much half the price. I like it’s no frills style and the fact it brings something different to the curry scene where there is a lack of diversity.